Ayse is passionate about helping couples and families improve their communication and deepen connection. She is trained in Imago Relationship Therapy which helps couples connect and become compassionate partners. She is also trained as a workshop presenter for ‘ Getting the Love You Want Couples Workshop’ and is soon to be certified. She has deep understanding of intercultural couple’s challenges. She focuses on helping couples to bridge the divides they face and create shared visions. She also enjoys helping individuals, international students, new immigrants, expats. She speaks Turkish fluently. 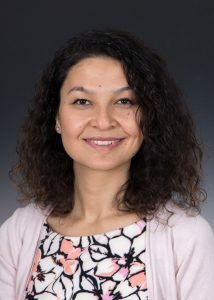 Ayse holds a Masters in Health Services Administration from Strayer University, Washington DC and Bachelor of Science, Psychology from Near East University, Cyprus. She has worked in psychiatric patient services and clinics as a licensed family counselor in Turkey.